Dr. Jeffery Flagg is certified by the American Board of Plastic Surgery, an active member of the American Society of Plastic Surgeons and a candidate member of the American Society of Aesthetic Plastic Surgeons. He is also a published medical authority and a featured speaker for professional conferences. Born in Chicago, Dr. Flagg grew up playing football for both high school and college. He accepted an offer to the University of Illinois where he received his Bachelor of Liberal Arts and Science degree with a Biology major. Following his degree, Dr. Flagg proceeded to graduate from the College of Dentistry at the University of Illinois and actively practiced dentistry while pursuing his medical degree. 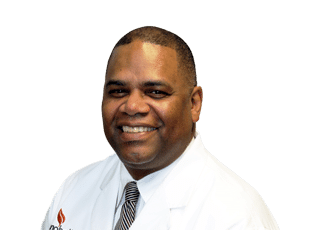 After earning his medical degree, Dr. Flagg continued his extensive training by completing a General Surgery internship at Cook County Hospital in Chicago and did his General Surgery residency program at the King/Drew Medical Center in Los Angeles. He returned to Illinois and completed his fellowship in Plastic Surgery at the University of Illinois. Throughout Dr. Flagg’s career, he has committed himself to researching and performing the safest, most advanced treatments to help his patients achieve the results they want. Outside of his work in plastic surgery, Dr. Flagg is a family man and is married with two children. He maintains his athleticism by playing golf, football and swimming and also enjoys puzzles and gardening on the side.